To remake is always harder than to make anew. 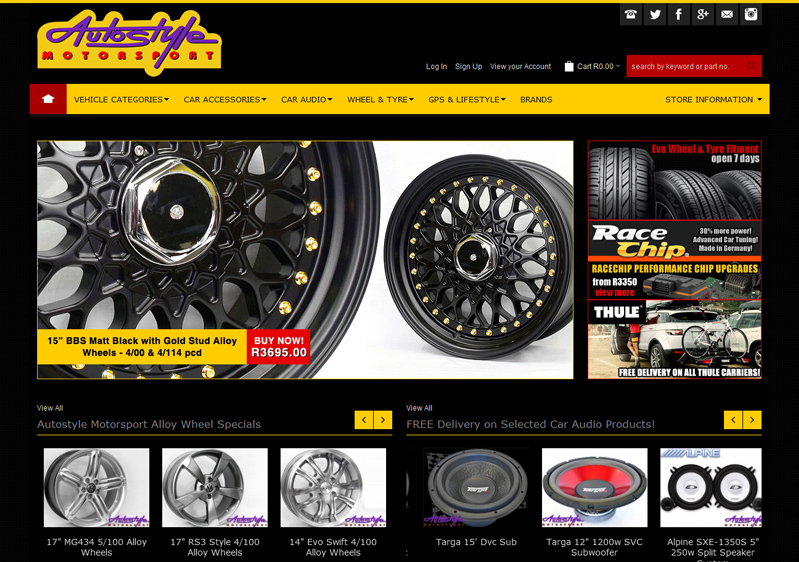 However we took up to renew the online shop for spare car parts and accessories working since 2002. 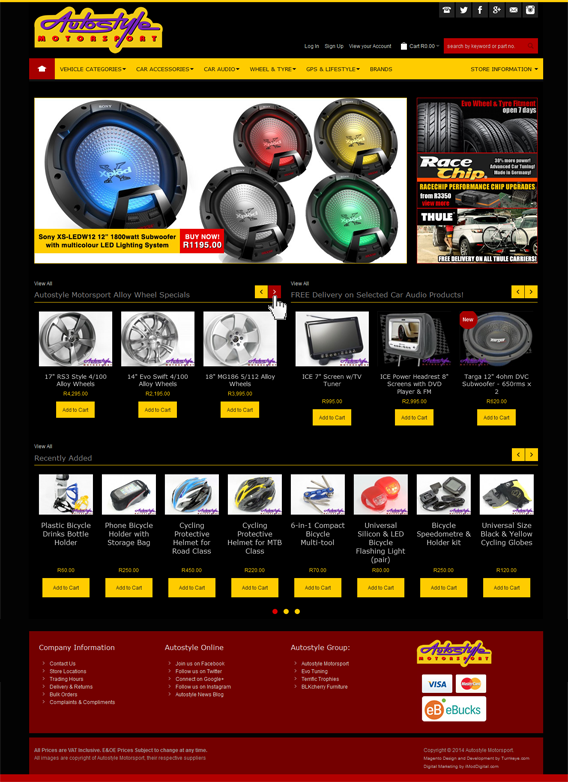 Autostyle Motorsport is a leader in sales for the automotive parts and accessories in South Africa. The project stands out for its quality achieved for a relatively short time. Just for 2 months we have managed to re-launch the renewed shop and increase its efficiency by 20%. We added more promo-banners linked to the product catalogue. It helps to publish discounts, actions, top products in the main page without disturbing the general view. The statistics say that step increased the sales by 20%. 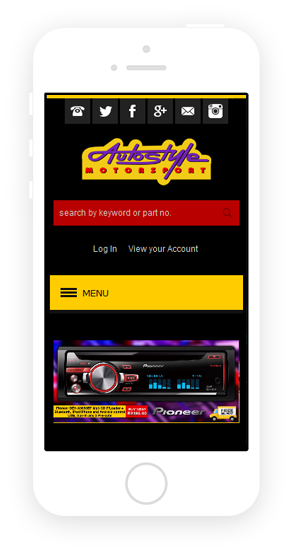 This function enables easy reading and navigation on all mobile devices. All in all, a fantastic job and we continue to hire ASTRIO. We run a very successful online store with over 45,000 customers, well over 55,000 orders and about 9,000 sku's. However using a custom built shopping cart became a bit restrictive. We spent months researching magento and investigating various companies who we could hire to do our migration. ASTRIO came highly recommended and being a Magento partner put our minds at ease. Work began in November, we staggered our approach by first building various custom extensions. Then tested these extensions on our smaller Magento stores. Projects of this magnitude always brings unexpected problems or bugs and ASTRIO were superb in handling this, never complained or asked for extra funds. The price we were quoted is the price we paid. Delays were virtually non existent and we launched our site well within our deadline! Post-launch help has been extraordinary. ASTRIO had the patience of a saint when dealing with our webhosts and various configuration issues. All in all, a fantastic job and we continue to hire ASTRIO for various upgrades, tweaks and advice on our Magento stores.